Late last year, HTC allowed a very lucky BBC access to the early concept designs of their Windows 8X and 8S and my, are the revelations interesting. 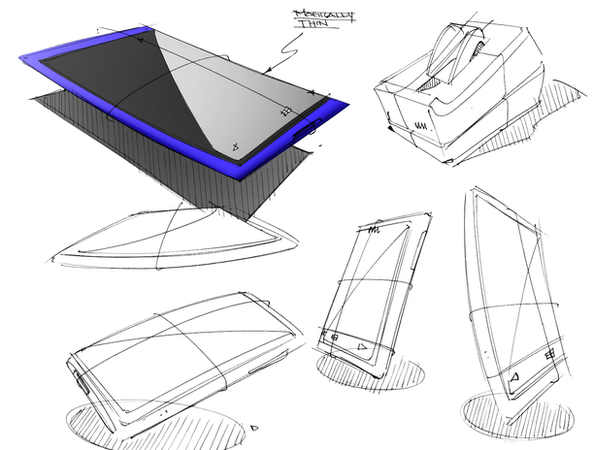 A little late, I grant you, but so intriguing we thought we'd share the HTC design process with you anyhow. HTC’s hallmark has always been difference and originality; although at the end of the day phones are essentially a rectangular chassis with a screen, the subtleties of design can really make all the difference, darling. 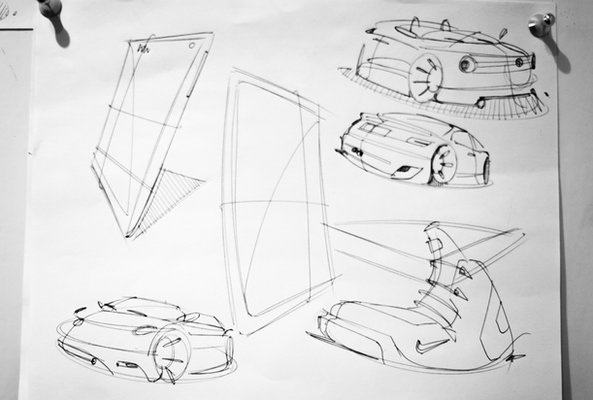 At the early stages of design during the first sketch sessions, the team often find themselves a bit stumped, Scott Croyle, HTC’s vice president of design explained: "You're sketching for a while and you might sketch a car, or you might doodle a shoe... it's as you're doodling and messing around the page that all of a sudden an idea comes across." That explains the slightly bemusing first sketch, then. Despite the beauty and unavoidable accuracy of the car and the shoe, that is clearly just the beginning and is but a moment in the birth of a new handset. Croyle, whose company One and Co had Nike as their clients before he joined HTC, continues: "It's one thing to sketch a pretty picture, but it's another thing to go in with a group of 15 engineers where they're all looking to you. You have to be knowledgeable enough about the engineering to ask tough questions." It is quite a feat to design a device that still looks stylish even after all those hi-tech features have been crammed in. But even when they have struck gold with a design, the journey is not always over. Some of the major smartphone companies are constantly in and out of court-room battles over patent and design rights. HTC have previously found themselves in a battle with Apple over the ‘slide to unlock’ feature. "We try not to think about it too much," Croyle said. "With an industry like design, you're dealing with people who bring a lot of emotion to the table, so you don't want them burdened with patent wars and concern about that. "That's something we can deal with and analyse after the fact." 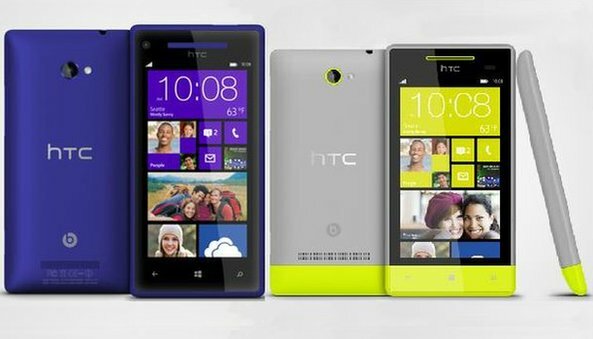 The vibrant colours of the HTC 8X and 8S – which were released in November last year – certainly stand out from the traditional blacks, greys and whites which dominate the smartphone market. "If you look at the colours of these phones, you see a lot of more of those colours in sporting goods," Croyle said. "Of course we had these colours in development for a lot longer, but when I saw the Olympics I was like 'Oh, we were right. This is the perfect timing for these colours to come out'." Ok so I know this phone has been out for a while now, but it is still pretty snazzy, so if you do decide to invest in one - or the new HTC One, for that matter - then don't forget you can recycle your old mobile was us here at OnRecycle. It's good for the environment and you can earn yourself a bif of cash while you're at it. Don't forget to like us on Facebook if you're happy with our service, or just like our blogs aswell :).